Summer is still here, and I think no matter where you live in Australia, all of you would have experienced the extreme temperatures we have had to endure in the past month – it’s been a shocker! When the temperatures are sweltering, there is no way you want to cook a traditional ‘meat and 3 vege dinner’ inside your house – Summer is all about firing up the BBQ and whipping up a healthy salad to go with whatever is on the sizzling hotplate. And this month have we got an awesome salad for you to try. Introducing the ‘Mediterranean Salad’ – with only a handful of ingredients, this delicious and simple salad is ideal for serving with BBQ steak / chicken / lamb….anything really. And if there is any salad left over, take it to work with you the next day with a can of tuna in olive oil (drained) and you have the tastiest lunch ever to enjoy! 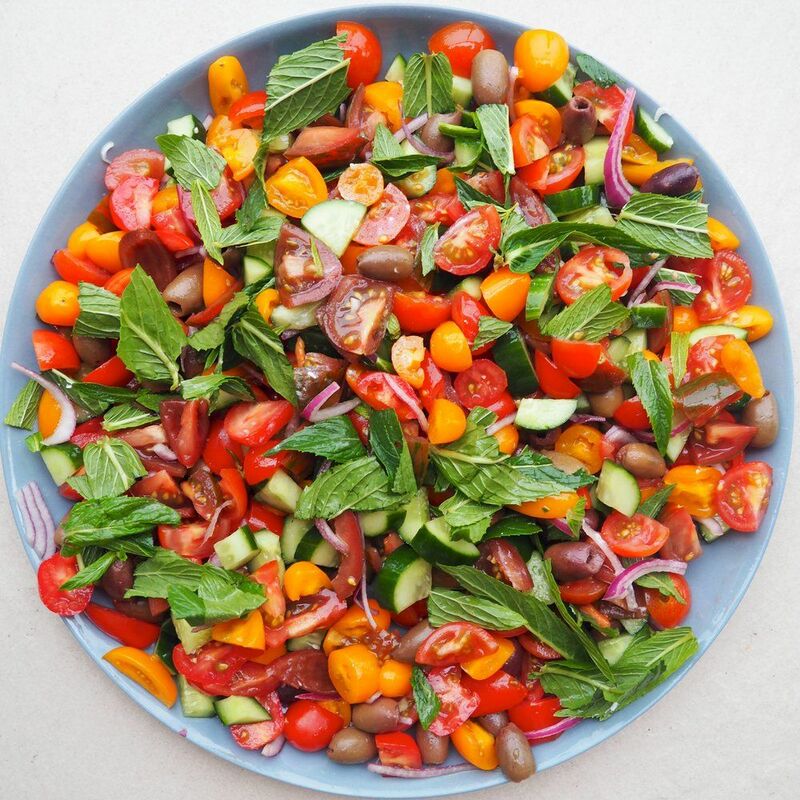 Not only is this salad delicious, it is also extremely good for you – tomatoes are loaded with a nutrient called lycopene (which is actually what makes tomatoes red)! Lycopene has been shown to help protect skin from sun damage and reduce the risk of heart disease and cancers (particularly prostate, stomach and lung). Easy to prepare, tasty and incredibly healthy – what are you waiting for? Pick up the ingredients you need on the way home from work today & get ready for the family to be impressed! Mix tomatoes and cucumber in a salad bowl. Add mint leaves and olives and combine well. PreviousPrevious post:MOST COMMON weight loss mistakesNextNext post:Are Toxic Thoughts Thwarting Your Weight Loss?